Driving can still be fun and safe even when you are in your sixties. Who says senior citizens shouldn't be driving anymore? 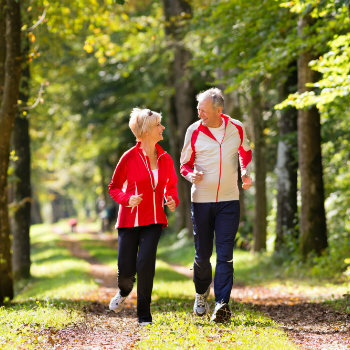 As we get older, we will undergo some physical changes that may affect our driving skills. However, each individual is different so knowing what we are capable of will help us decide if we should still get behind the steering wheel or let someone else take over. Driving can be challenging for some older adults, but remaining healthy and in perfect condition can make your trip pleasant and stress-free. So before you hop in your car rental, check out VroomVroomVroom's driving tips for seniors. Exercising daily – whether it is jogging or walking – can help improve your strength and endurance which would come in handy during long drives. Doing a bit of stretching can also give you more flexibility thus making it easier to look over your shoulder when parking or maneuvering your car. Before you do any form of physical activity, make sure to check with your doctor first to avoid getting injured. Do you know that one of the major causes of road accidents in the United States is drowsy driving? According to UCLA Health, there are at least 100,000 auto crashes each year because the person behind the wheel (almost) fell asleep. That's why it is important to get enough sleep so you will remain awake and alert during your whole trip. If you are taking sleeping pills, consult your doctor about its effect and ask if it is safe to drive. It is normal to have poor eyesight and hearing when you get older; and these senses are important when driving. By having your eyes checked regularly, you can correct the grade of your eyeglasses or contact lens right away. If you are using hearing aids, make sure to choose the one which you are most comfortable with. It could end up being a distraction if it doesn't suit your ear. If you are under medication, it is important to read the label and check for its side effects. Some medicines like pain killers, cough syrup, muscle relaxants and antihistamines can cause drowsiness and sometimes even dizziness which makes it not safe for a person to drive. Make sure to talk to your doctor for any unpleasant side effect that you experience when taking a certain drug so they can prescribe a new one or inform you how to deal with it. When driving, it is important to find a vehicle that works for you best. If you don't drive every day, renting a car will be a good option. This will give you more choices in vehicles thus saving you money from buying a car and then replacing that with another one when you suddenly have a new requirement. It is advisable to choose a vehicle with automatic transmission, power brakes, and power steering. Our friendly customer service representatives can help you find a rental car that would cater to your special needs. Now that you have found the perfect vehicle or rental car, it is best to plan ahead before you leave. This includes checking the best route or direction to your destination. Check the live traffic updates so you can see the areas with road closures and high volume of vehicles. If you are using a GPS device, input the destination ahead of time. Avoid doing other things such as texting or talking on your mobile phone, switching the radio channel, or eating. If you really need to do any of those, pull over to the side of the road and park properly. Driving schools aren't only for beginners because some of them now offer courses and trainings for seniors such as I Drive Smart in the US. If you prefer taking the course right in the comforts of your own home, you can take AARP's online driver safety course designed for drivers age 50 and older. Even the most competent and experienced drivers are prone to decreased visual skills, forgetfulness and slow reflexes. You can learn how to handle your own physiological challenges through new techniques and training. Don't force yourself to drive when the situation makes you feel uncomfortable. If you get stressed out driving in fast-moving traffic, then try to steer away from freeways and highways. Look for other routes to your destination even if it will take you more time. Also avoid getting behind the wheel when the weather is bad since driving in snow or rain requires special skills. We hope that our driving tips for seniors will help you or your loved ones enjoy the road trip. If you have other useful tips for the older adults, please share them in the comment box below.